If you ever find yourself having had one drink too many in Evesham Township in New Jersey, you can get home safely without endagering yourself or others by driving under the influence (DUI). Evesham has allied with ridesharing and driver services Uber and BeMyDD to offer free rides to help cut down on drunk driving. A town of 45,000 people, Evesham is the first U.S. municipality to use this strategy to keep its roads safe from people driving while intoxicated. The town’s number of DUI arrests is on the brink of reaching a record-breaking 250 this year, according to Reuters. Evesham Mayor Randy Brown said that the town needed to make it easy for drunk people to go home safely with just the push of a button on their smartphones. Under the agreement with Uber, patrons in at least 19 restaurants and bars that serve alcohol can ride home for free in Uber cars. The free ride program started in mid-October and is being sustained by donors. Uber may expand this program to other towns after the local pilot testing. 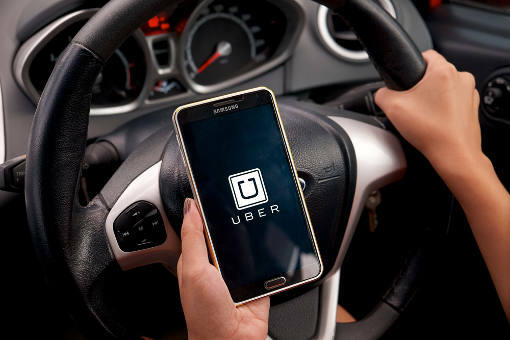 Uber claims its services now reach 75 percent of the U.S. population. Other business organizations and nonprofit groups are pooling their money to fund another free ride program through BeMyDD. Inebriated patrons can use the app to request someone to drive them home safely in their own cars. Another BeMyDD volunteer picks up the driver from the passenger's home. The town’s partnership with BeMyDD started in mid-October. The free ride program through Uber and BeMyDD will run until Jan. 2, 2016. Rides are available at designated establishments between 9 p.m. and 2 a.m. every day for destination residences located within Evesham. In September, the town pilot-tested a free shuttle ride program for more than 350 people. The free rides cut down DUI arrests to just eight in September. On the average, the town makes 23 arrests per month between January and August, so the pilot program dropped that number by 65 percent. Get the Uber app from the App Store for iOS devices, the Google Play Store for Android devices and the Windows Store for Windows phones. The BeMyDD app is available for both iOS devices and Android devices.